Working during the wee hours of the night may strain one’s eyes, especially when a good source of light is not readily available. While the eyes will dilate to allow more light to enter the lens when working in a dark environment, such adjustment of the eyes may cause immediate problems such as pain in the eyes, blurred vision or headache. Moreover, further studies show that working without a good source of light may cause short-sightedness. So whether you are on a graveyard shift at an office job, or you are finishing your homework at home, investing on a desk lamp is necessary for a hassle-free work environment, posing several benefits for your eyes. Since the market provides a wide array of desk lamps, it can be quite frustrating to find the most ideal lamp to suit one’s preference. Some lamps may really come cheap, but they barely illuminate. Others may be designed impressively, but they have a poor level of brightness. The most frustrating among them is investing on a lamp that would only die out after a couple of months. Hence, you should invest on a desk lamp that is of quality so that you can get your money’s worth. 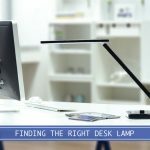 For this article, we have compiled the best desk lamps in the market which could help alleviate the development of strain in your eyes, helping you work more productively. We have read a variety of reviews to help you decide better, and to ensure that you are provided with the best desk lamp based on your preference. Equipped with LED lights, this particular product features a metallic, minimalist design which provides a modern yet classy addition to your workstation. With its stellar features, the TaoTronics Stylish Metal LED Desk Lamp will illuminate your room and prevent your eyes from straining. The desk lamp is constructed through an aluminum material with a matte finish. It allows you to select from five light modes and six levels of brightness up to 1200 lux, adjusting to your vision on several occasions. Because of its variety of light modes, this desk lamp may be used in a variety of ways such as an office desk lamp, or a night light. Furthermore, its light guide penetration allows light to pass through sideways for a glare-free illumination, making it easy on your eyes. Additionally, the TaoTronics Stylish Metal LED Desk Lamp possesses a multi-angle head and arm which are adjustable. The presence of its aluminum heat sink quickly disperses the heat, fostering a longer duration and better consistency. Christian marked this desk lamp as his favorite, stating that its numerous light settings works well for him. “This lamp saves what you last used,” he said, “its options are easy to activate.” He further lauded the lamp’s structure, mentioning its sturdy base and easily adjustable elbow. 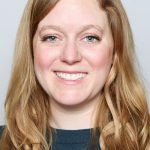 On the contrary, some may have encountered isolated problems such as faulty power wire and other functional inconsistencies; all of which may be answered by contacting customer support. The 2.6 pound desk lamp is designed to provide optimal lighting for several activities. Its features are specifically designed for professionals and students who are working at night, providing lighting that can reduce eye strain. With four temperature modes and five brightness levels, the Etekcity Dimmable LED Desk Lamp would allow you to customize the lighting to suit whatever activity you are doing – reading, studying, sleeping, or relaxing. With its built in USB charging port, you may be able to charge your device directly from the lamp. Furthermore, the desk lamp offers a multi-angle adjustment feature, with vertically adjustable head, and a revolving base. Its sturdy base likewise prevents the desk lamp from tripping off. It provides a sleek and modern look, perfect for minimalist designs. Charles is very happy with the desk lamp. “I like the fact that its different light settings and brightness levels adjust to my vision,” he said, describing the lamp’s versatility. “I also love the USB port where I can plug my Kindle in after reading,” he continued. However, certain customers pointed out the lamp’s flawed design, commenting on the quality of the construction and brightness after weeks of use. This may be alleviated through proper handling and utilization of the lamp. Made of plastic material, this product offers many features including a natural light that protect the eyes from straining. This lamp is ideal for those who work late yet are in need of a natural source of light to allow them to work well. The LAMPAT Dimmable LED Desk Lamp comes in four lighting modes and five levels of brightness, ideal for a variety of situations. Whether you desire to read, or you want to focus studying, its dimmable feature may be ideal for you. Furthermore, the desk lamp also provides a USB charging port where you can plug your gadgets in. Its LED light bulb can last up to 25 years under normal use. Its painted finish adds up to its black color and plastic construction for a modern-looking design. With an assembled width and height of seven inches and 2.5 inches, respectively, this desk lamp may save a lot of space. 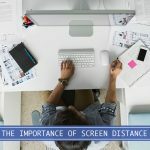 Additionally, no glare reflects on screens of devices. Other users, however, have made mention of its high price. However, its functions and its long-lasting LED light will surely make up for the price. Energy-efficient and convenient, this desk lamp provides features which are ideal for university students who need a good source of light for studying. Furthermore, the Newhouse Lighting 10W LED Desk Lamp can also be utilized by professionals and kids alike. The desk lamp is equipped with a LED light that can last up to 22.8 years. It is further equipped with a USB hub for devices such as smart phones and tablets. The lamp provides a 5-step touch dimming feature that allows users to adjust the color temperature of the light depending on the preference. It also features a flexible silicone neck that may be twisted to adjust to several angles. It is made up of a polycarbonate material with a painted finish to give its users a modern look. Other users have noted that the desk lamp becomes defective after a few uses. This may be fixed through careful use. Overuse of the product may only cause its early demise. Elegant and modern, the Divine LEDs Dimmable LED Desk Lamp provides its users features which may help them read and study without straining their eyes. The desk lamp features a rotating head that provides you with maximum flexibility. This makes it perfect for the lamp to be used in a variety of settings including your office, or your bedroom. Furthermore, this product possesses three unique light modes which may be adjusted based on your preference. It also includes five different brightness levels, which you can adjust as you please. The desk lamp is equipped with energy saving LED lights. It is constructed with a plastic material with a chrome finish. Many users of the product commented that the lux of the light emitted by the lamp is low. It should be noted, however, that there are several other modes available in the desk lamp which could help users adjust its brightness. With a lot of desk lamps to choose from, using a set of criteria would help you narrow down the choices, allowing you to pick out the most ideal product of your choice easier. Here are certain functions of a desk lamp which you should consider. Having the right amount of brightness will most likely reduce the possibility of straining your eyes. Hence, it is essential to gauge the level of brightness of your desk lamps when picking out one for your use. Light brightness is measured in lux, and is dependent on the wattage of the lamp. Generally, the higher the wattage, the higher the lux of the desk lamp. For desk work, you need at least 5-10 watts from a LED lamp. With more efficient use of energy, and longer length of consumption, LED lamps are more recommended than incandescent or fluorescent lights. As a matter of fact, most desk lamps sold in the market already uses LED lights. LED lamps do not heat up when used. Furthermore, they have color temperature adjustment capability. You may also want to check out the benefits of having a well lit workspace or tips on achieving the perfect lighting. The color temperature of a desk lamp may affect the level of eye strain. However, it should be noted that the warmth or coolness of the light temperature can be based on one’s preference. Color temperature can vary from yellow light, to bluish white light. The ideal style of the lamp also varies from one user to the other. Some lamps are designed in a traditional way, while others may be equipped with at least one adjustable elbow. Other models involve a cordless model that runs on a battery. If you’re looking for a glass L-shaped desk to go with your new lamp, check out our list of modern and contemporary desks here. Here is also a complete guide to finding the right computer lamp to help with your eye strain. Being able to avail of a desk lamp is a necessity, especially those who are working late at night, or those who are studying for tomorrow’s exam. Being able to purchase the right kind of lamp would not only allow for a more productive work environment, but it would also prevent your eyes from straining. Hence, when looking for a desk lamp, be sure to consider its brightness, color temperature, the light type, and its style. With a lot of products in the market, you are pressed to find the most ideal one. We recommend TaoTronics Stylish Metal LED Desk Lamp. It provides a lot of engaging features including five light modes and six levels of brightness which adjusts to your eyes. This helps you prevent straining of your eyes. It should be noted, however, that the most ideal desk lamp still depends on your preference. What are your thoughts on the Lumiy Lightblade? I see alot of these in my office and its got some great reviews online. The Lumiy Lightblade is a great option too. 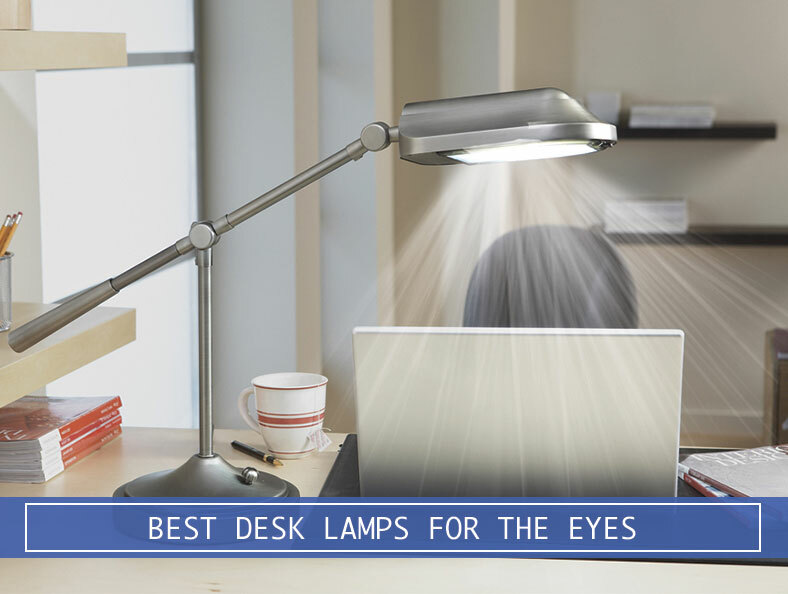 Depending on what you need, any of these are acceptable desk lamps to help with your eyes. The Lumiy also has a USB charging port, and you’ll be able to customize the site settings, 20 brightness and 4 color temperature levels. The question you should ask yourself, what is your biggest concern you’re having?